Analogy is the core of all thinking. This is the simple but unorthodox premise that Pulitzer Prize-winning author Douglas Hofstadter and French psychologist Emmanuel Sander defend in their new work. Hofstadter has been grappling with the mysteries of human thought for over 30 years. Now, with his trademark wit and special talent for making complex ideas vivid, he has partnered with Sander to put forth a highly novel perspective on cognition. Lots of verbiage, few insights. Don't bother. Interesting, but could be a quarter the length. What did you love best about Surfaces and Essences? Absolutely love Hofstadter as I've encountered him both here and in GEB. This is a set of ideas that I've had in an informal way for a long time, and he lays them out in his typical methodical, logical style with many surprising conclusions I hadn't reached. The moments of insight are... spread out... but they unfold spectacularly. 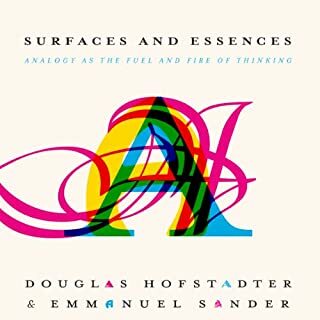 What other book might you compare Surfaces and Essences to and why? The only thing I can think of that is this casually philosophical is GEB, but that's a trivial example. The concepts resonate with some of Foucault's work on language, particularly The Order of Things, and some recent academic linguistics, but the book differs drastically in style. Attempts to please two audiences, fails at both. Would you try another book from Daniel J. Levitin and/or Edward Herrman? Sure, Levitin's broad-mindedness could work in another context. Yes. 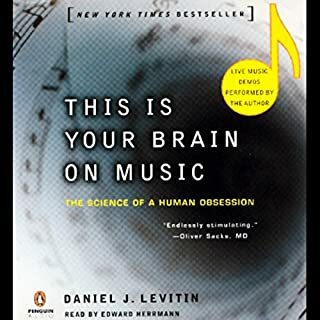 The book simplifies both acoustics/music theory and neuroscience to the point where there isn't much useful information about either. If you're even a modestly seasoned traveler in either subject, skip this one. The tone is best described as 'cool dad neuroscientist,' particularly when speaking reverently about dated commercial rock music. What does Edward Herrman bring to the story that you wouldn’t experience if you just read the book? Books don't usually have a deep baritone. Was This Is Your Brain on Music worth the listening time? It wasn't a waste of time, just a neutral use of time. This book contains ideas with a beauty that is difficult to express. There is a constant tension in the air - a feeling that you are on the brink of some fundamental pattern in the universe, but you can't put your finger on what that is. I would recommend this book to anyone without qualification. 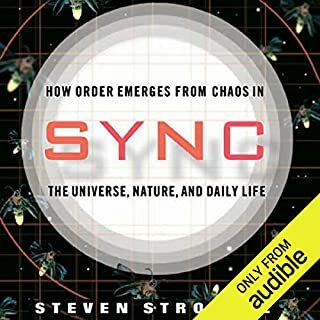 What other book might you compare Sync to and why? I haven't found one yet aside from the more formal "Nonlinear Dynamics and Chaos"
Yes, I couldn't stop listening to it. In fact I was driving and had to pull over because it was so engrossing. Do not be afraid or unsure for any reason - the book is pitched such that you could listen to it without even knowing addition.